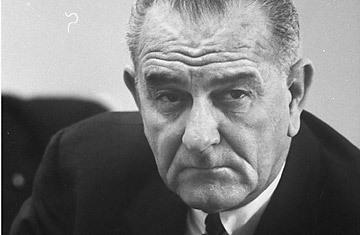 One of the nice things about being a historian is that you get to gad around and go interesting places, like Austin, Texas, which happens to be the home of the Lyndon Baines Johnson presidential library. 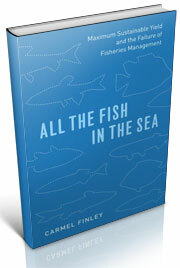 The library, you will be interested to hear, has lots of interesting little documents around fishing. A word about the building first. It’s really very impressive, like a pharaoh’s tomb, very simple, seven stories, reflection pond in front with a spraying fountain. On a hot Texas day, it’s a pleasant place to sit in the shade and listen to the fountain. But on to the fishy documents. Presidential libraries have wonderful staffs, they know everything that happened during an administration, and when you ask for anything they have on “fish,” they respond with a large pile of documents. Among the many folders were the minutes of a marine policy committee that met regularly at the White House. There was an agenda for each meeting, and at the top of every agenda, were three letters, FPC, or Fish Protein Concentrate. The 1960s was a very contentious time for American fishermen. 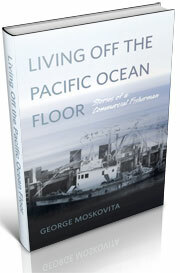 As Bob Hitz has told us, Soviet factory trawlers were in the Pacific, as well as the Atlantic, catching Pacific Ocean Perch. There was a growing chorus of complaints about the foreign boats that were much newer, larger, and more sophisticated than most American fishing boats. 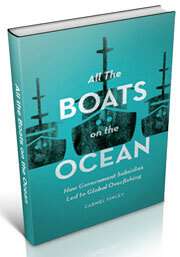 The foreign boats were heavily subsidized their governments. The Soviets badly needed protein to feed their people, and their massive new fishing fleet was a direct challenge to American ocean supremacy during the Cold War. As the foreign boats continued to fish, there was a growing chorus of complaints. But the Department of State and the Defense Department did not want to restrict fishing, because then other nations might restrict American boats fishing off their coast–and if American fishing boats could be banned, perhaps that would lead to further restrictions on military vessels. “The United States should be the leading fishing nation of the world because it has all the qualifications for this position,” the Bureau of Commercial Fisheries argued stoutly argued in 1968. Despite extensive coastlines, stocked with many different kinds of fish, Americans were importing more and more of the fish they ate, and the American fishing fleet, which ought to be the best in the world, wasn’t. Fish imports had rocketed from 33.2% in 1957 to 76% in 1968, valued at $823 million. The Soviets had invested more than $4 billion since World War II. American investment was a tiny fraction of that. the fleet. While fishermen had been eligible for low-interest loans since 1935, the Eisenhower administration found that no boat loans had been made. With the arrival of the Kennedy Administration in 1960, and the creation of the New Frontier theme, fishery officials were looking for a way to get noticed. 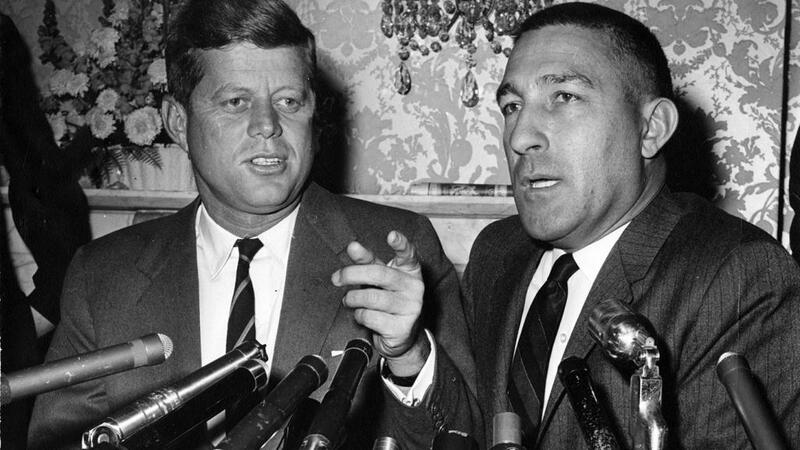 They came up with an idea, Fish Protein Concentrate, or FPC, and it caught the attention of Kennedy’s new Secretary of Interior, Stewart Udall. If ever there was a magic bullet designed to cure a multiple ills, it was FPC. It would encourage the use of ocean resources, improve the economic status of American fishermen, and, perhaps most importantly, enhance the world image of the U.S. in helping to alleviate world hunger, all with an odorless, tasteless, protein-rich powder. There is quite a bit of literature, especially technical literature on FPC, which was warmly embraced by the academic community, charged with creating and trying to prefect the final product. The push for FPC created a technological imperative, ignoring questions of how practical the product could be. The idea was to take low quality, cheap fish and turn them into a dried product that could be stored without refrigeration and used to alleviate malnutrition. “Nutrition activists, politicians, regulatory agencies, and private industry came into conflict in a manner most often detrimental to the implementation of FPC as a nutrition supplement,” wrote two scientists who documented the battle, Ernst R. Pariser and Christopher J. Corkery. Their language is restrained, considering it was their outrage over watching the FPC legislative process that impelled them to write their book. The controversy began immediately. The Food and Drug Administration, prodded by the dairy industry concerned that it might impact their non-fat milk sales, bared FPC from being sold in the U.S. When it finally did approve it for sale, it was restricted to small bags. But the real problem was that the technology to create the product did not exist–and given the political opposition, it could not be created, at least cost effectively. The project had proposed that a hungry child could get a nutrition supplement for a fraction of a cent; a 1973 study found that it cost $5.08 to produce a pound of the stuff. Michael Weber, From Abundance to Scarcity, (Washington, D.C.: Island Press, 2002), 79. Edward Wenk Jr., The Politics of the Ocean, (Seattle: University of Washington Press, 1972), 303. Memorandum for Dr. Gabriel Hauge, Nov. 23, 1956, Positive Measures to Ease the Groundfish Situation, Subject Series, Box 94, Folder, “Trade Agreements and Tariff Matters, Fish 94),” Eisenhower Presidential Library. 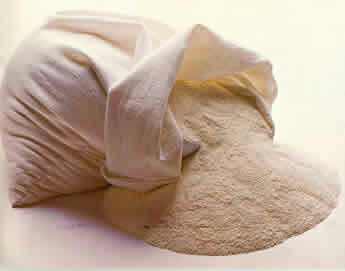 Ernst R. Pariser and Christopher J. Corkery, Fish Protein Concentrate: Panacea for Protein Malnutrition? (Cambridge: MIT Press, 1978), 23. Comptroller General Report to Congress, Fish Protein Concentrate Program, May 25, 1973. This entry was posted in Cold War, Environmental History, Fisherie subsidies, Fisheries policy, Fishing, History of Science, History of Technology, Marine Policy, Maritime History, Ocean fishing, Pacific Fishing History Project, Soviet fishing, Soviet history', World History and tagged Bob Hitz, Carmel Finley, Fish Protein Concentrate, groundfish, Lyndon Baines Johnson Presidential Library, Pacific Fishery History Project, Secretary of the Interior Stewart Udall, trawling. Bookmark the permalink.